IBASSIN: 2018 Toyota Bassmaster Texas Fest Lake Travis Day 1: Hanselman Captures Lead with 21-05lbs! 2018 Toyota Bassmaster Texas Fest Lake Travis Day 1: Hanselman Captures Lead with 21-05lbs! Cliff Pace with 10 pounder! Morning bite key to big bass success. 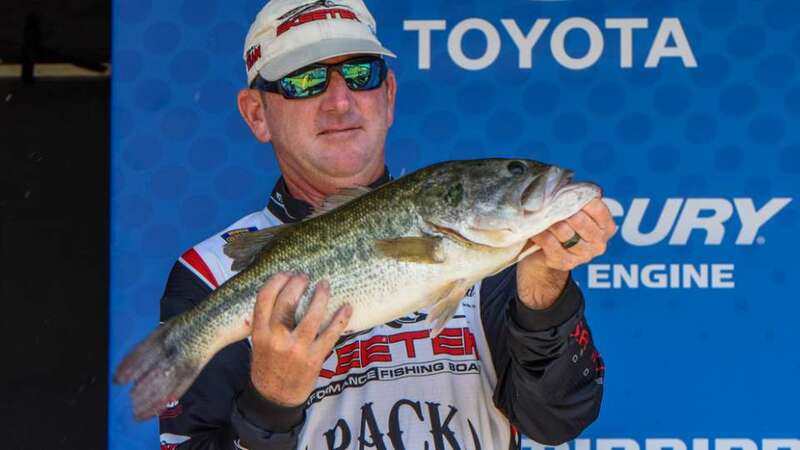 A heavy, 21-pound, 15-ounce limit of largemouth bass, anchored by an impressive 7-9 big fish, put Ray Hanselman Jr. of Del Rio, Texas, in the lead after the opening round of competition at the 2018 Toyota Bassmaster Texas Fest benefiting Texas Parks and Wildlife Department on Lake Travis.